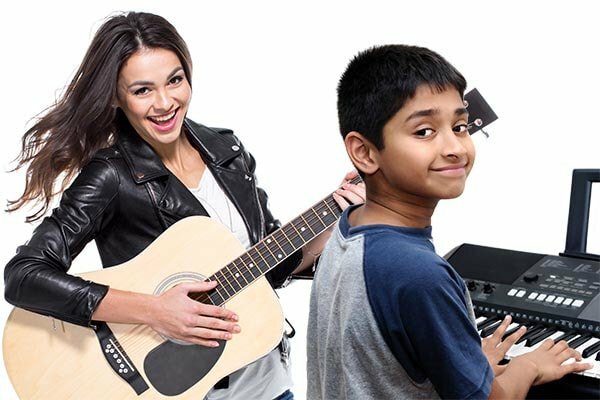 "Best Place to Take lessons"
​Since 1991 we have helped thousands of students begin and continue on their musical journey. We are the largest school of music in the Fort Myers area, offering private lessons in all popular instruments. We know you are busy, and it can be very hard to find a reliable music teacher. That's why we go above and beyond to find the BEST music teachers in Fort Myers--so you don't have to! Our staff consists of fifteen experienced music teachers, capable of teaching all ages and levels. We constantly renovate and improve our facilities, as well as provide on-going support to our students with a variety of no-lesson activities, to ensure we are always providing our students and parents with the best possible musical experience. While you're researching the best school for you, consider the benefits of becoming a Fort Myers School of Music student and find out why we are your number one choice for music lessons! One big reason a School is better than an Independent teacher. Over the years we have found that students learn faster and better if the teacher is a good match for them. Some students do better with: a Male teacher, others with a Female. Older or Younger, Stricter or more Laid back, Matter-of-fact or Jovial. With a large faculty we are sure to have a good match for your child. Parents often request a particular personality for the teacher, only to find out their child responds better to another faculty member. At Fort Myers School of Music it's easy to change instructors (even instruments) down the road. ​1. Lessons for Piano, Guitar, Voice, Bass Guitar, Ukulele, Organ, and Drums -- in one location. This saves our students time and money, as family members can take lessons on different instruments on the same day. 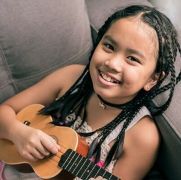 Other studios offer multiple instruments, but we are the only one to offer all of these instruments combined with a high quality teaching faculty, convenient location, and enriching environment. We welcome all beginners and all levels - no matter what your age! We have just expanded and now offer lessons for most Brass and Reed instruments. We have 15 music teachers, who we've handpicked, so your student can have a good personality match, and the right teaching style that works for them. All our teachers have teaching experience, a degree in music / education, extensive performing experience, and most importantly, a fun, motivating personality that you're sure to love! No matter what your musical goals are, we want to help you reach them! Our goal is to inspire your student - and that's the best teaching method of all! Visit our testimonial page to see what our students are saying. Every year, aspiring music teachers start their own studio, and a year or two later it’s closed. 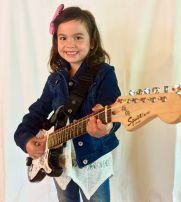 We have a proven track record of offering quality guitar, piano, voice, bass, drums, and organ lessons in Fort Myers, year round. Our full time mission is teaching music lessons. We have been entrusted by thousands of people to provide their families musical education for almost 30 years years. With over 2,500 square feet we have room for the most spacious and parent friendly waiting area in the Fort Myers area. Our clients enjoy a spacious parent's lounge with comfortable chairs, kids toys, free WiFi, magazines and bottled water service. We also provide large observation windows for every room so that you can watch your child's lesson while you wait. Or if you prefer, you can sit in on the lessons at anytime. Every parent just wants to know how their child is doing, and if they are really progressing. The best way for a parent to understand if their investment in lessons is worth it, is to have their child participate in recitals. Each Spring and December, many of our students choose to perform in our biannual recitals. Our recital location has a grand piano, so piano students are not playing on just a keyboard. Our sound system ensures a quality experience for all! Unlike other schools, parents never have to pay admission or any related fees for these recitals. 8. Trophies, certificates, and award wristbands to celebrate achievement. We are the only music school in the Fort Myers area that gives their students the opportunity to earn special color wristband bracelets (kids and teens love them! ), trophies, and certificates for passing musical tests. Do other schools offer trophies and certificates? A few. But none of them inspire their students with smiling faces by giving them full color, really cool “Musical Ladder” wristbands that they can show off to their friends. We strive to bring you the best customer service possible. We are continually adding hours to ensure that our desk staff is able to assist you when you call or come to the studio! AND, your lesson is never interrupted by the teacher answering the phone! Most music lesson providers do not provide front desk staff. We have a three person desk staff who are available to assist you during lessons, quickly and professionally. Excellent customer service is what sets us apart! 10. Conveniently located on Colonial Blvd in Fort Myers! Due to its central location, our school is convenient and draws students from Fort Myers, Cape Coral, Lehigh Acres, North Fort Myers, and Bonita Springs. We are easy to find, on Colonial Blvd. near the Mid Point Bridge, next to the Broadway Palm Dinner Theater, with shopping and restaurants close by. Our location also features a large child safe parking lot. ​11. Morning and lunch time lessons for homeschoolers, retirees, college students, and working professionals. 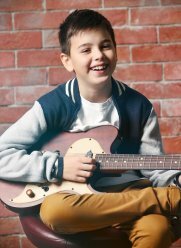 We are a 'full service' music school offering lessons as early as 9:00 a.m. and we see many students between the hours of 11:00 a.m. and 2:00 p.m. If you are a home school parent, retiree, college student, or working professional who has a flexible schedule, take advantage of our early morning and lunch time lesson spots. Our desire is to inspire our students with the love of music. We do this by hiring personable teachers, and using music that our students love. Unlike other programs, we do not require semester minimums for lessons. You can begin anytime! To stop lessons, we just need a 14 day notice. 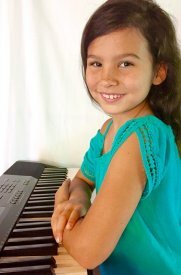 Offering quality piano, guitar, drum, bass, organ, ukulele, and vocal lessons in Fort Myers, FL. Serving the communities of Fort Myers, Cape Coral, Lehigh Acres, North Fort Myers, and Bonita Springs..